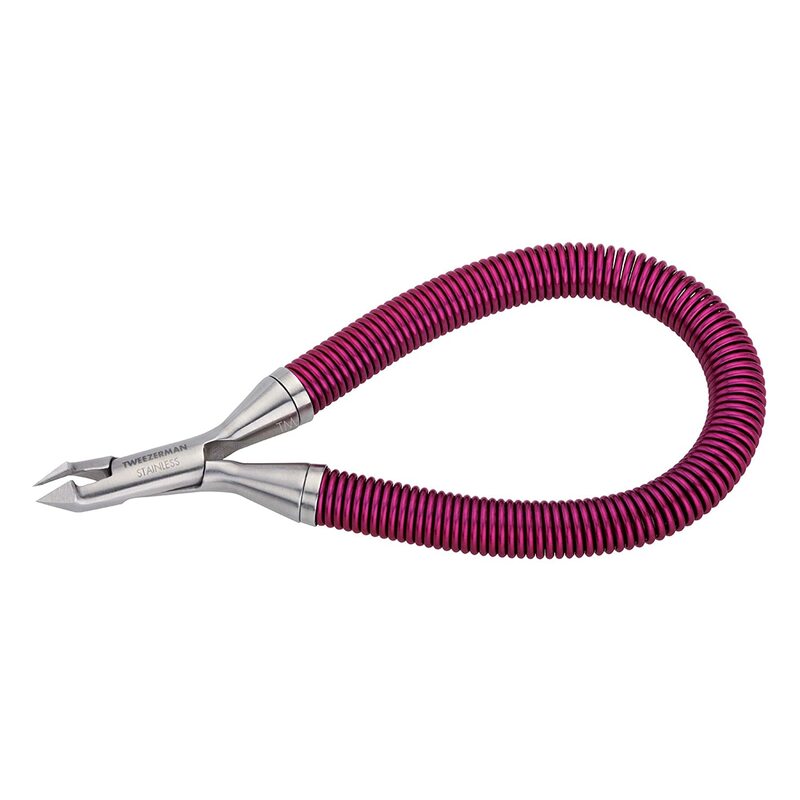 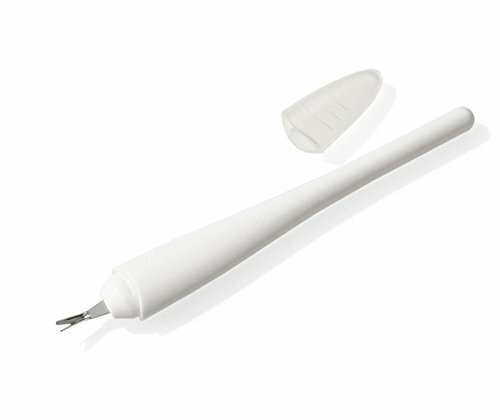 A new take on the traditional cuticle nipper, the Grip and Snip features a spiral spring for the ultimate in style, comfort and control. 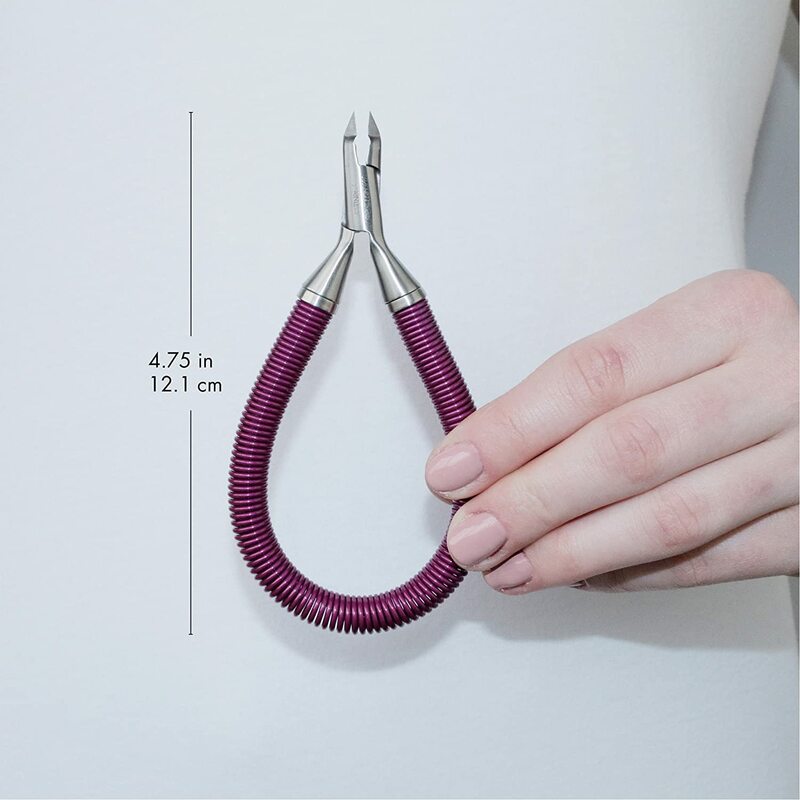 This sleek new one-of-a-kind design is highly stylish and highly functional. 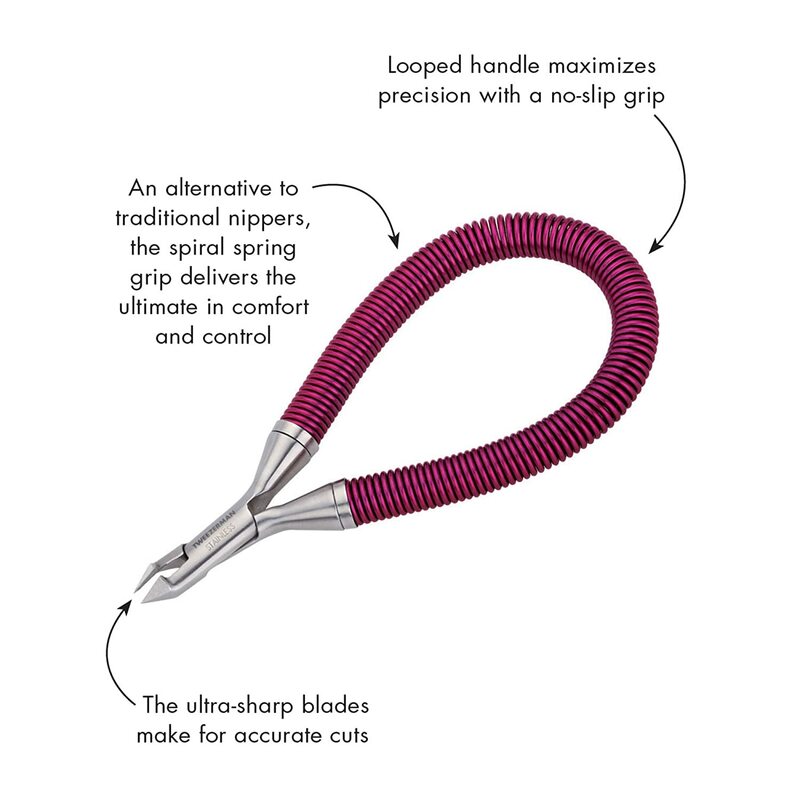 The looped handle maximizes precision and provides a no-slip grip, while the opening and closing action is ultra safe and smooth. 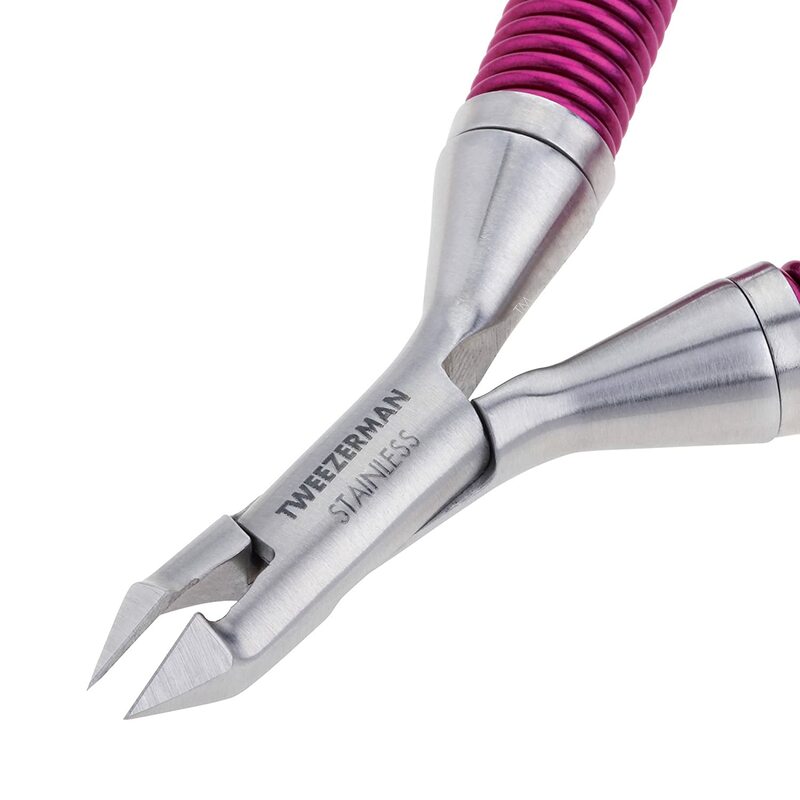 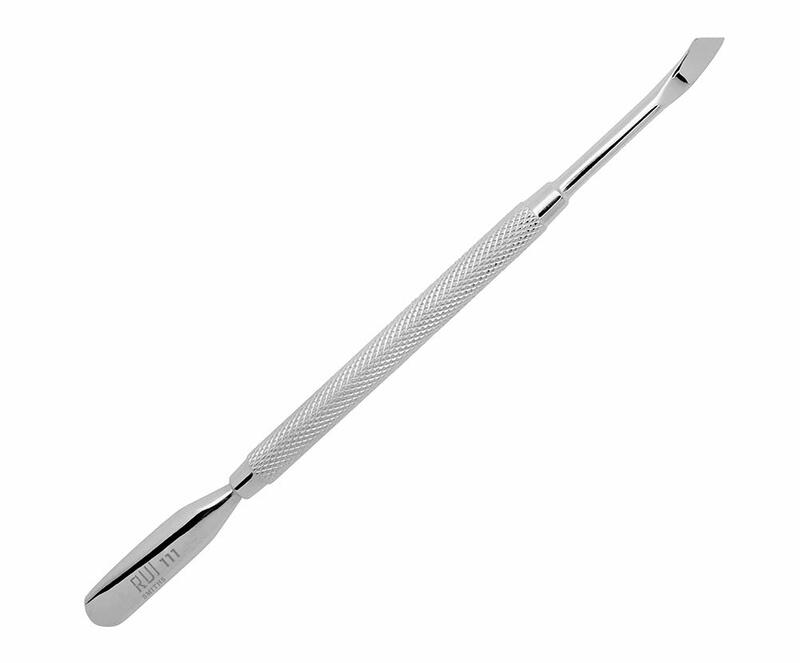 This premium stainless manicure tool comes in two stand-out, fashionable colors. 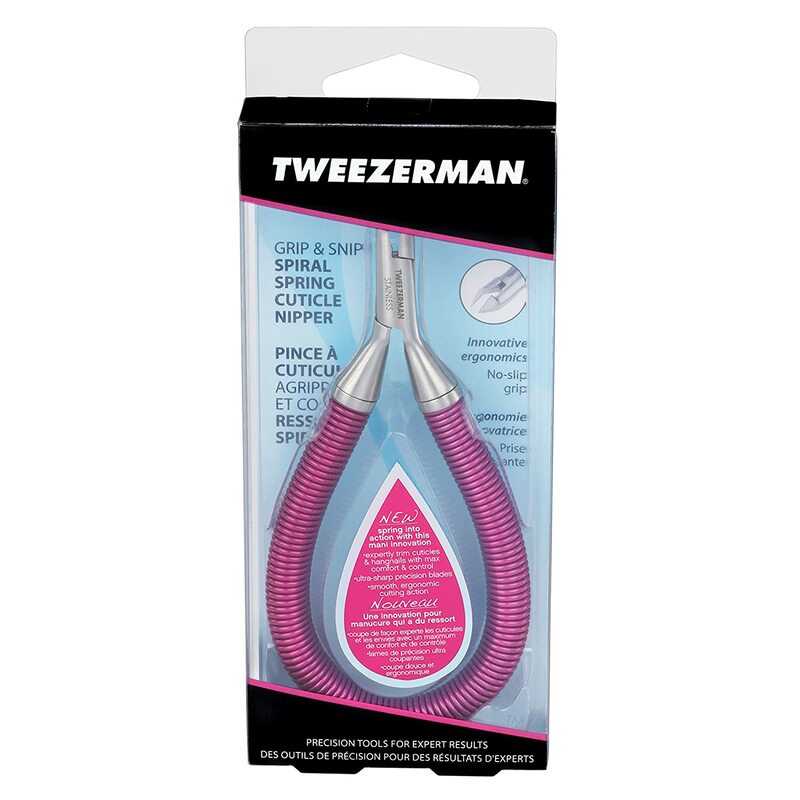 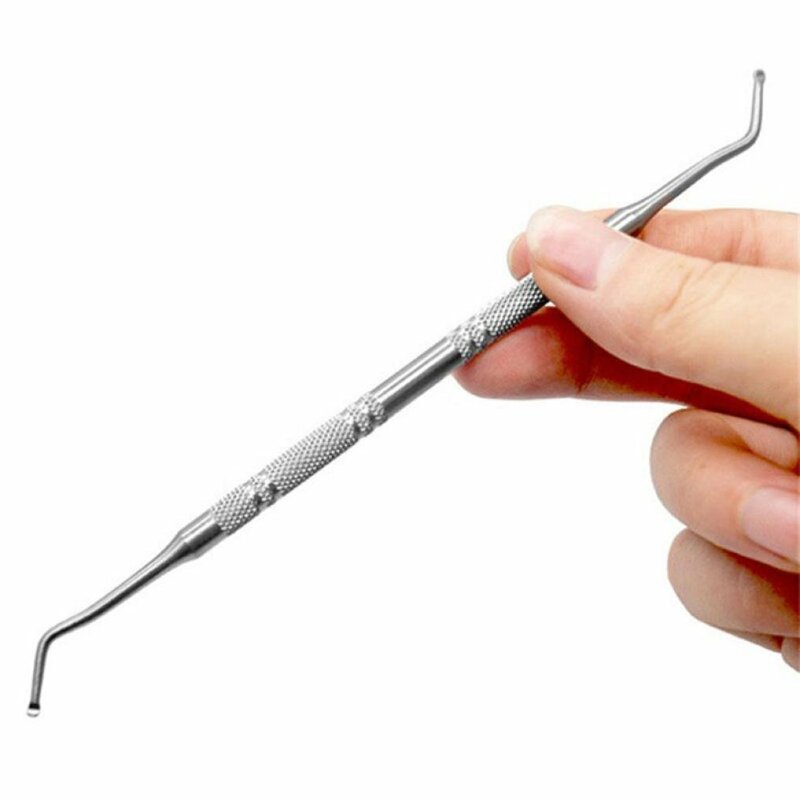 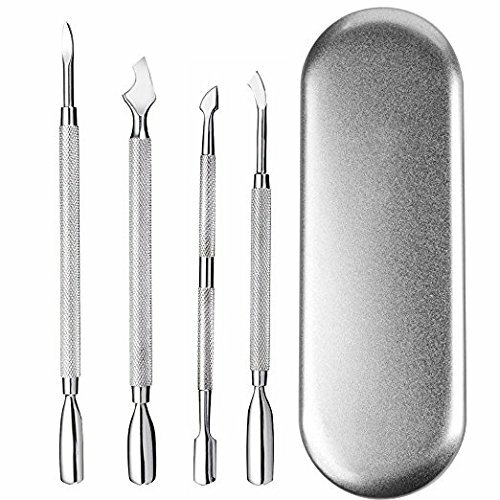 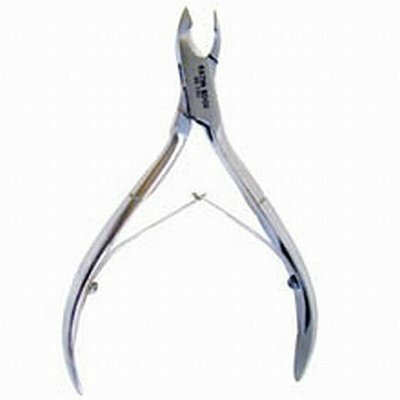 Great cuticle nippers. 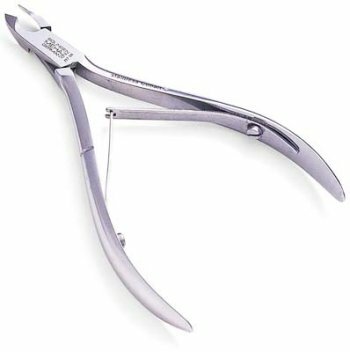 Very high quality and comfortable to use.